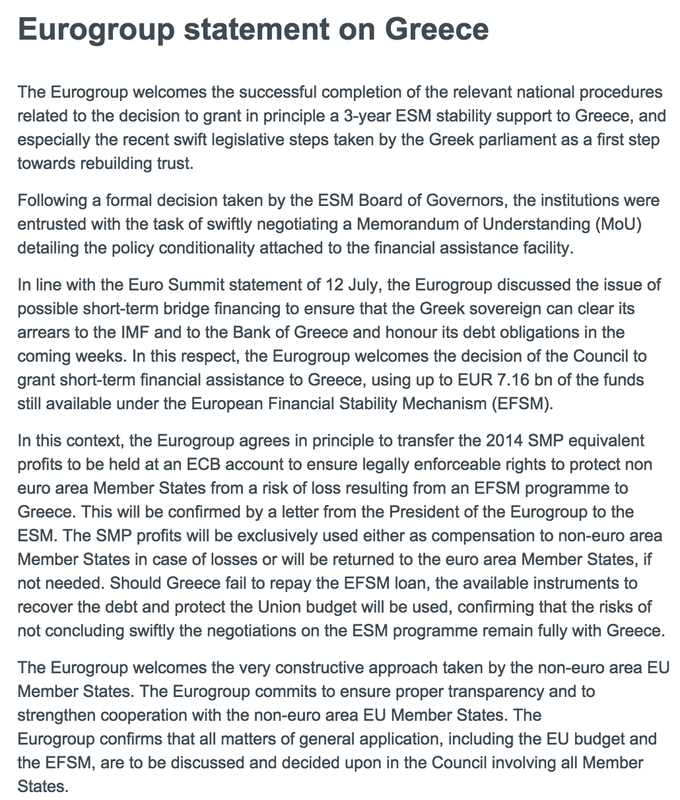 The bit "...he risks of not concluding swiftly the negotiations with the ESM remain fully with Greece" (emphasis mine). This amounts to setting pressure very high on Greek Government to basically accept MoU conditions unaltered, as presented to them and, thus, makes the very idea of 'negotiations' a farce. 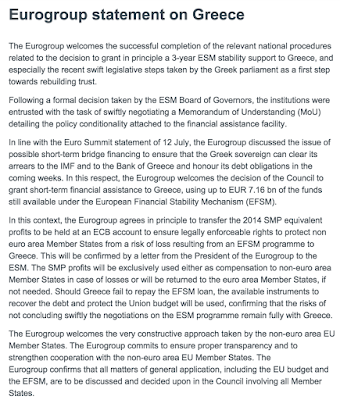 Given that EFSM cover (bridge) is only for July, at most for first week of August, this statement basically puts Greece on notice: either agree immediately to ESM (Bailout 3.0) conditions or face a loss of SMP funds on top of everything else. In effect, Eurogroup is driving home the tactical advantages gained by over-extending Bridge loan negotiations into the last minute and from Tsipras' total surrender at July 12-13 meetings. Greece has no where to go, but to ESM at this stage, so my suspicion is that MoU will be tougher than Bailout in Principle position of July 12-13.